Winston Churchill enjoyed a longer and closer relationship with the Royal Navy than any British politician of the twentieth century. In 1911, at the relatively young age of thirty-six, Churchill was appointed First Lord of the Admiralty, the political head of the British navy. He threw himself into the task of preparing the service for war, and presided over its fortunes until May 1915, when a political crisis, partly of his own making, drove him from office in disgrace. His reputation as a strategist and war leader was badly damaged by his prominent role in the ill-fated Dardanelles campaign, although his political career soon revived. Churchill’s part in the Dardanelles was eventually overshadowed in the public mind by his warnings about Adolf Hitler and high-profile fight for rearmament during the 1930s. Churchill became First Lord of the Admiralty again on 3 September 1939, the day Britain declared war on Nazi Germany, but he remained at this post less than a year, during which time he presided over a second failed campaign, this time in Norway. 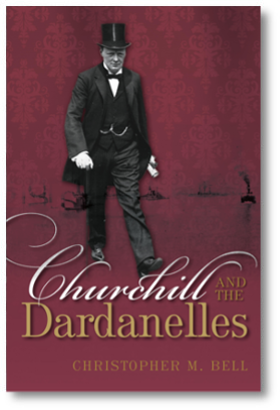 This new disaster evoked memories of the Dardanelles and sparked another political crisis, but rather than being cast back into the political wilderness, as some observers hoped, Churchill emerged as prime minister. Acting as his own Minister of Defence, he shaped British grand strategy and oversaw all three fighting services for the duration of the Second World War.